Motorcycle accidents. Not something anyone wants to hear about. This state has some fantastic roads for riding on two wheels with some of the most incredible views anywhere. Laconia’s Bike Week has been a favorite of New Hampshire riders since 1923. Whether you’re just going from Concord to Manchester, all the way up to Lincoln and the White Mountain National Forest, or cruising around anywhere in between, riding a motorcycle in New Hampshire is great fun and a great time. As much fun as the motorcycle is, it’s riskier riding in a car. The National Highway Traffic Safety Administration (NHTSA) reports that while 20% of car accidents result in injuries or a fatality, 80% of motorcycle accidents do. One estimate puts accidents with motorcycles at 11% annually. 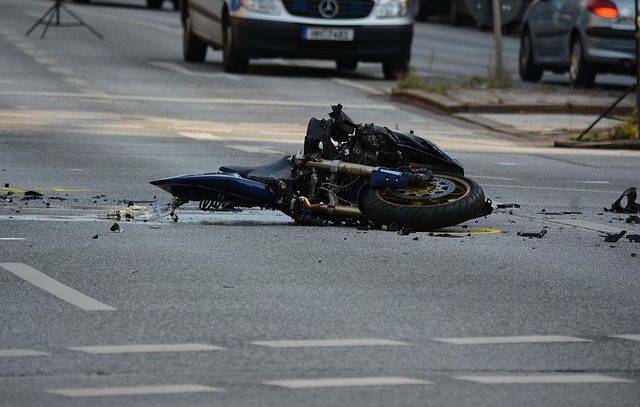 Car accident fatality rates are decreasing, but motorcycle rates are increasing. Any one of these can turn that ride into your last one for a while. That’s where we come in. Insurance companies frequently lay blame with the motorcyclist, when it’s usually the driver who’s at fault. Let us represent you so that you’re treated fairly, and get you the compensation you deserve. New Hampshire is a “modified comparative fault” state, meaning that if you are partially responsible for your injuries, your settlement could be lowered by the percentage you’re assigned. For instance: if it’s determined that you were 15% at fault for your accident, your $100,000 settlement will become $85,000. If you are more than 50% at fault, you won’t receive any settlement. Does New Hampshire Have A Helmet Law? Yes, there is—but only if you’re under the age of 18. You’re not required to wear a helmet once you reach that age. But under New Hampshire’s modified comparative laws not wearing a helmet could reduce your settlement, since a head injury could be prevented by wearing one. It may not be immediately clear who was at fault. Pictures, police reports, medical records and other documents tell the story. We’ll work hard to determine liability and help you get the compensation you deserve. New Hampshire’s three year statute of limitations means you only have three years from the date of your accident to file insurance claims and to file suit, if necessary. If you miss that deadline, you’ll lose your chance to file a lawsuit—and lose the money you’ll need to heal, repair your bike, reimburse you for your losses and get you back on your feet. An insurance company will try very hard to settle your case quickly and be done with you. But if you sign their release, you may not have enough money to cover your injuries, repairs, and other losses. If you’re contacted by an insurance company that offers to settle now—don’t sign anything until you talk to an experienced New Hampshire motorcycle accident lawyer. You could lose a lot of money if you do. If you or a loved one were injured by someone else in a motorcycle accident that was preventable, you have rights. Make a call today to Cohen & Winters to discuss your case. We’re experienced trial lawyers who will fight for your rights and make sure you’re fairly compensated for your injuries and financial losses. Contact our experienced motorcycle accident lawyers at (603) 224-6999 (or use our online contact form) to schedule a free 30-minute consultation to discuss your case. Our contingency fee arrangement means you won’t have to pay a fee until we win your case for you.